It takes a lot to be a truck driver. Except for your truck, there are a lot of things that you can’t control as a driver. With the traffic at its peaks and high chances of accidents, the job can be boring and risky. Also, weather conditions take no time to turn from friends to foes. Hence, you need special skills, patience, and gadgets to drive well and drive safe. You’ve of course got no control over the traffic and weather conditions. However, what you equip yourself with is totally in your hands. There are some amazingly cool gadgets that you may need on the road. 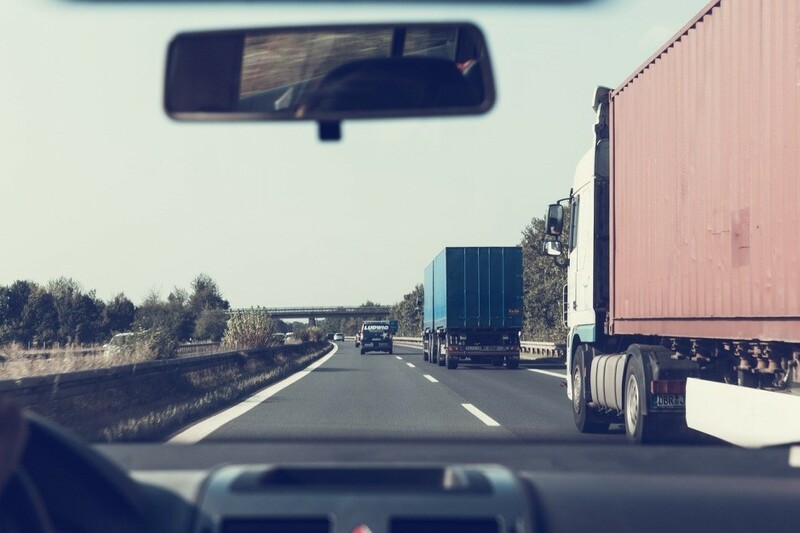 With these truck gadgets, you can ensure comfort and safety for yourself. So let’s learn about 6 must have gadgets for truck drivers. CB Radios can prove to be life-saving. Of all the stuff you need while driving a truck, this might just be most important. These radios generally help you communicate with other truck drivers in your area. There have been several cases where some drivers saved some lives by making other drivers aware of potential threats on the roads. So make sure you keep the best CB radio in your cockpit. It would prove its worth at the right time. Whether you’re driving a semi truck or a large truck, using your phone while driving is illegal at most places. And it’s rightly so. Using a smartphone while driving creates a high risk of accidents. That’s why carrying a wireless Bluetooth Headset is no less than a compulsion. It would help you take your calls safely on the go. You can also relish your favorite music in case you feel a bit bored. If you drive, you need GPS device. It’s as simple as that. For truck drivers, GPS sits on top of the list of essential gadgets. You drive on the long routes and thus are more prone to taking wrong turns. That’s where Google Maps can be an amazing assistant. Also, GPS system not only keeps you on the right track but also gives you a few suggestions. With Google Maps you can learn about the shortest path and the path with least traffic. Long routes on commercial vehicles can be boring as hell. And a nice cup of coffee can keep you alive. Whether in a long haul or driving during the night hours, a coffee would keep you miles away from sleeping. It can let you be focused and energized throughout the journey. So being a commercial truck driver, a coffee maker is one of the best things to gift yourself. Dash cams today have become must-have accessories for professional drivers. These devices help you register the road conditions and the reaction of a driver post an accident. So it can be a handy tool to determine the fault and liability in case of a mishap. Also, you can use the data from dash cams to improve your driving for better safety of your cargo, other people, and yourself. Is there any use of carrying all these electronics without a source of power? Obviously, you need to power your electronic items to use them at will. This is what a power station can help you with. Just plug the power station into your cigarette lighter and you can charge all your gadgets with it. So get yourself a nice power station and you’re sorted. Life on the road isn’t very pleasing. However, if that’s what you’re going to do, why not make it easier and interesting. Get all the gadgets we’ve mentioned above to be safer and happier on the go. Happy trucking!